Israeli Minister: Kerry Should 'Win A Nobel Prize And Leave Us In Peace' : The Two-Way The remarks by defense official Moshe Yaalon indicate just how difficult discussions are over a possible Mideast peace deal. Yaalon apologized for the comments late Tuesday following a strong reaction from the U.S.
U.S. Secretary of State John Kerry, second right, stands with Israeli Defense Minister Moshe Yaalon, left, Minister of International Relations Yuval Steinitz, second left, Israeli Prime Minister Benjamin Netanyahu, center, and Minister of Justice Tzipi Livni at Netanyahu's office on May 23, 2013, in Jerusalem. Israeli Defense Minister Moshe Yaalon apologized late Tuesday for comments in which he described U.S. Secretary of State John Kerry as having a "messianic fervor" toward bringing peace to the Mideast. "The defense minister did not intend to insult the secretary and he apologizes if the secretary was hurt by the remarks attributed to the defense minister," a statement issued by Yaalon's office. "The apology was issued [after] a two-hour meeting between Ya'alon and Prime Minister Benjamin Netanyahu at the premier's residence in Jerusalem. The statement, which was composed together with Netanyahu, followed a lukewarm response from Ya'alon earlier in the day which was rejected by the Obama Administration. "Senior American officials said prior to the release of the statement that the United States was not satisfied with the Israeli government's response to Ya'alon's remarks and expected Netanyahu to issue a public condemnation." U.S. Secretary of State John Kerry has said he's encouraged by talks with Israel and the Palestinians despite widespread criticism and skepticism, but comments Tuesday reportedly by an important Israeli interlocutor in those talks show just how difficult discussions are over a possible peace deal. Yedioth Ahronoth, Israel's most widely circulated newspaper, quoted Defense Minister Moshe Yaalon as saying: "In reality, there have been no negotiations between us and the Palestinians for all these months – but rather between us and the Americans. "The only thing that can 'save us' is for John Kerry to win a Nobel Prize and leave us in peace." The newspaper said the comments were made both in private conversations in Israel and in the U.S. It did not provide a date for the alleged remarks. "The American security plan presented to us is not worth the paper it's written on. It contains no peace and no security. Only our continued presence in Judea and Samaria and the River Jordan will ensure that Ben-Gurion Airport and Netanya don't become targets for rockets from every direction. American Secretary of State John Kerry, who turned up here determined and acting out of misplaced obsession and messianic fervor, cannot teach me anything about the conflict with the Palestinians." Judea and Samaria are the biblical names for the West Bank. Criticism of Kerry's efforts aren't unusual, but these remarks were made by the man who, in the words of Yedioth Ahronoth, "sits beside Netanyahu during the talks with Kerry." The U.S. State Department criticized the comments. "The remarks of the Defense Minister if accurate are offensive and inappropriate especially given all that the United States is doing to support Israel's security needs," spokeswoman Jen Psaki said in a statement. "Secretary Kerry and his team including General [John ] Allen have been working day and night to try to promote a secure peace for Israel because of the Secretary's deep concern for Israel's future. To question his motives and distort his proposals is not something we would expect from the Defense Minister of a close ally." 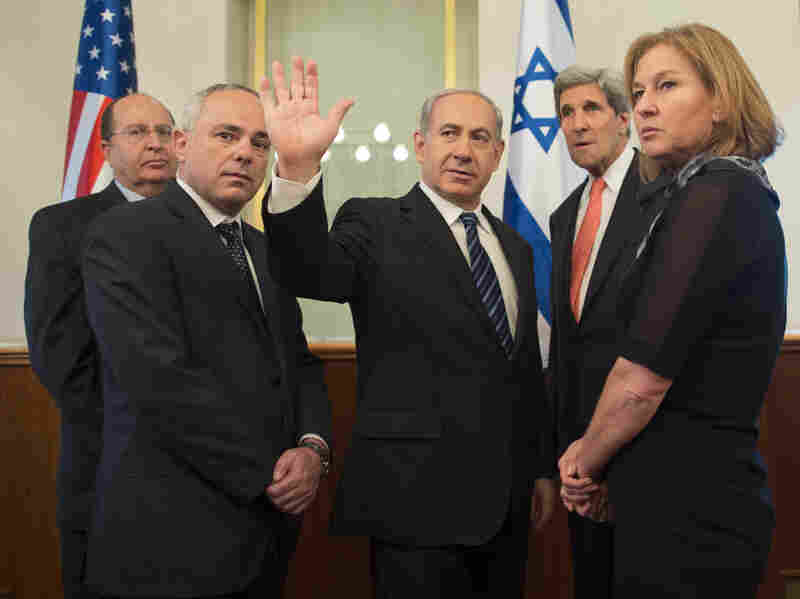 Israel's Haaretz newspaper reported that several Israeli officials also criticized the remarks. Yaalon hasn't denied that he made the comments, but he told students in southern Israel on Tuesday that "even if there are differences and friction within various discussions, and there are, they must not affect the interests or common goals of Israel and the United States." Haaretz reported that Yaalon, in a clarification published Tuesday, said: "When there are differences we iron them out inside the room, including with Secretary of State Kerry, with whom I hold many talks concerning the future of Israel." He added: "The U.S. is our greatest friend and our most important ally; I will keep safeguarding the security of the citizens of Israel resolutely, responsibly and with discretion." "The sides have set an April target date for agreeing upon a framework for peace. But in recent weeks, they appear to have hardened their positions. "The Palestinians seek the West Bank, east Jerusalem and Gaza Strip, territories captured by Israel in 1967, for an independent state. "Netanyahu wants to keep parts of the West Bank and says he will not share control of east Jerusalem, home to sensitive religious sites. He has also insisted that the Palestinians recognize Israel as the Jewish homeland, a condition they say would undermine the rights of Palestinian refugees and Israel's own Arab minority."